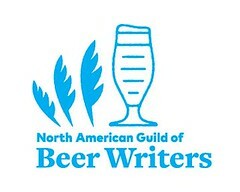 Resolved: I will review beers with a numerical scale, no more. For me, beer is not a number; beer is not simply a product. Beer is thing of beauty, and a thing that brings beauty. I revel in its flavor, and in the alchemy, skill, science, and joy that goes into the making of a good beer. When beer is quantified as a score, or as a price-point, or as a demographic category, beer is rendered as a formalistic, non-aesthetic, ugly thing. Our mothers once told us, and the late, great beer writer Michael Jackson mostly practiced: if you don't have something nice to say, don't say it. If I like a beer, I'll tell you; if not, I usually won't. I will no longer pretend that beauty can be quantified. Life is too short for a 1 to 100 scale and other such nonsense. 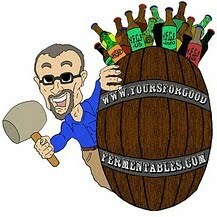 For reviews here at Yours For Good Fermentables, go to my columns entitled Drinking, again!. For 'snapshot' reviews, see these at my companion Flickr site. 2013.02: I updated the links and redacted the wording. I agree with you on some points here. I also think that if there is a beer that completely turns you off.... you should save your friends from such an experience. I think I came up with a fun and friendly way to rate the beers I try.